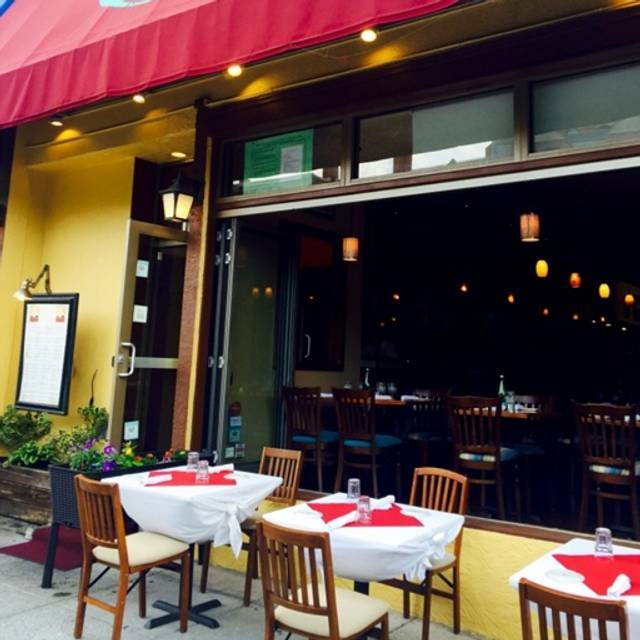 Bistro Bistro is part of the Dupont Circle culinary infrastructure, offering exquisite French and Mediterranean cuisine for years. Our private dining room can accommodate up to 300 guests with built-in AV function for your special presentations. Our 4pm - 7pm happy hours include Martinis for $4.95, glass of wine for $4.00, beer for $3.50 and mixed house drinks for $4.00. We also offer a very popular Sunday Brunch Buffet. 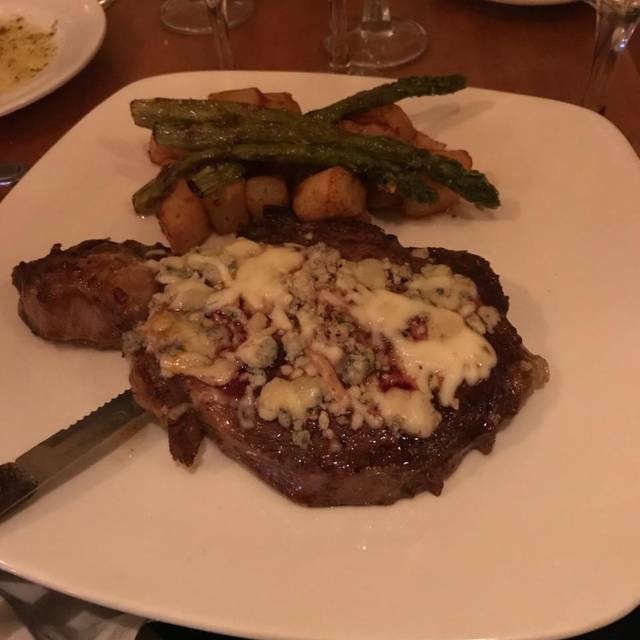 Bistro Bistro offers menus to suit all budgets & food preferences and has a parking garage close by, easy access to taxis, and is only 2 blocks from Metro. Our private dining area has a full bar and built in AV facilities. We also offer exclusive use of the entire restaurant for up to 275 guests. Let us know three days in advance about your event, and we will team up to please your taste buds, and impress your guests. Plenty of parking on Connecticut Ave., R street, and nearby public parking garages. Dupont Circle Metro Station is two blocks away from us, and for those who are visiting the DC area, the Metro stays open very late on the Weekends. Bistro Bistro goes above and beyond on customer service! I had friends visit from out of town to celebrate a birthday and Bistro Bistro made us feel so welcomed! Plus the food was out of this world and was out in no time! We so enjoyed on our time here and will be back for our next celebration! Terrible experience. The worse, absolutely worse, eggplant parmigiana I have ever had! I could not eat it but the pasta with it was OK. The persons next to me sent her food back, I should have followed suit. Good food & good service. Thanks! Service was rushed and half of their menu was unavailable. What we were served came out cold and bland. Went here for my wife's birthday. Made a reservation and got even more than we expected. The service was amazing. They give free champagne and cake for birthdays. We wound up with the restaurant to ourselves and they brought out speakers and let us play our own music. This was a great dining experience. The food was great and the staff was professional, but friendly and fun. This a great place to visit. We were very disappointed in the service and the food. Nothing horrible happened. And, in fact, we really liked the feel of the restaurant. We were a group of eight on a family trip to DC and the restaurant was right down the street from our hotel. No one enjoyed their food and it took an extremely long time to get our food despite the restaurant being almost empty. I do not recommend this restaurant. Thanks so much for accommodating our large group! Food was extremely fresh! Will definitely be back. I worked with Ahhmed and he was genuine and professional! Pay attention to the existing negative reviews. They are an accurate summation of this restaurant. The food was absolutely, completely, and utterly the worst food I have ever had. It was shameful that they let this food out of the kitchen. I told the management about the food. Strangely, my OpenTable reservation was cancelled BY the restaurant AFTER I ate at the restaurant and this prevented me from leaving a review. I had to contact OpenTable to reinstate my reservation so I could leave a review. Services and food was ok for brunch... the brunch menu has to much food it’s hard to make great food where your cooking so many different things. Was really looking forward to Mothers Day brunch with my children and friends. It was a quaint place, but that is where the pleasant experience ended. They seated us immediately then someone took our drink order and said you better hurry to the buffet it’s going to be crowded. No menu handed to us for pricing on anything. The breakfast portion of the buffet was horrible. The Eggs Benedict was cold and hard, no taste at all. The French Toast sticks looked and tasted like they came out of an eggos frozen food box. The omelette station was a mess. The cook there had really no idea what she was doing. The dessert table looked like it was all prepackaged desserts that had been taken out of the box and put on plates. The kids said the chocolate chip cookies tasted like chips ahoy. Honestly never seen anything like it in my life. To top things off they handed us the wrong bill then replaced it with one $100 more. Don’t go here!! Absolutely awful. My first and only visit to Bistro Bistro was on Mother's day. Unfortunately, it was not a great experience. The space was cute and at it's prime was probably great, but the place has not been maintained. It felt old; the seats had stains on them, cushions felt 30 years old, there was heavy dust on wall decor, a big ceiling patch (not painted), walls with minor cracks, tables were weathered, plates at buffet had food spots on them, my coffee cup had lipstick on it, servers needed a little better training (felt like the B team). Mother's Day buffet: the serving platters/equipment looked old, the food was "fine", the omelette lady butchered the omelettes like it was her first time making them. They would probably benefit from slimming down the amount of options and concentrate on a few main dishes as the stars. There were a lot of pastries/desserts that were probably from Costco; another situation where less is more (if you can't make it, don't serve it). General presentation was a bit sloppy and on old platters that made me feel uneasy about the food. Overall: The food wasn't bad, just nothing to bring me back or compliment. The biggest detriment to this place is the general upkeep. Things that could be solved pretty easily; table clothes to cover table blemishes, wooden chairs to avoid stains on cloth seats, cleaning/dusting, tighter quality control, retraining servers and finish the repairs (ceiling paint and walls cracks). Had dinner with an out of town friend and my girlfriend. We had some drinks that were made well. Dinner was cooked to perfection and we enjoyed a relaxed setting by the open front window. I had such high hopes... they handed us a wine menu after we asked, but then told us that they didn't really have anything on that menu. In fact, they only had four varieties of red--all of them Robert Mondavi. They also didn't have a few items on the food menu. Seems that their food delivery wasn't made that day? However, the food was fine; nothing special, but certainly not bad. And the service was quite nice, even if they had to apologize for the lack of food and drink. I wouldn't seek it out again. I first came here for winter restaurant week 2018. I chose this place because of the great selection they offered on their menu. I finally got time to bring my significant other here and he also enjoyed himself. The staff is great and I have no complaints about the food either. We will return in the near future. Lovely Sunday evening dinner. Quick, friendly service which was nice. Food was just fine. Mussel/clam dish was delicious. Beef carpaccio was good but skimpy. The atmosphere and staff were nice, but my “Croque Madame” was not a croque madame at all. My sandwich was a dry grilled turkey sandwich with cheese. This should have been a buttery griddled sandwich with salty ham, melty grueyre cheese, rich velvety bechamel sauce dripping off the edges, and topped with an over easy egg. When I ordered, I requested an egg on top of the sandwich. Instead they brought out an over well fried egg on a separate plate from the sandwich, so I put it on the sandwich myself. The staff wasn't very friendly or welcoming. Server or management did not check to see if we needed anything without us having to ask. Not the best experience. Ran out of waffles, Services was slow especially with only 6 people dinning in the whole restaurant. This had to have been the longest we have ever waited to be served in any restaurant. We were a table of ten. Four of us arrived first and we were seated. The rest came in about five minutes later , saw us and sat down. It took about twenty minutes for a waiter to come by. They asked a teenager at the table if we were ready to order. He hesitated, and then the waiter said "I guess you need a few minutes" and left. Another twenty minutes, and we had to go find a waiter to help us. The food took well over an hour to show up, and the wait staff barely stopped by to check on us or ask if we needed drinks, etc. When the bill came, the tip was already included, so I guess they figured they didn't need to work for it and just didn't put in the effort. The food was a little slow coming out but it was very tasty! I had a wonderful experience during the Sunday brunch buffet. The food selection was incredibly varied and delicious. You really get great value for what you pay. This is a brunch buffet that will please everyone and the staff are attentive and welcoming. I will definitely be back! Great place for Easter brunch! Staff and quality of the buffet were excellent! I never write reviews, but I have to speak up about what a horrible place this is!! Invited friends to Sunday brunch, and was so embarassed. Our first clue that something was off should have been the empty dining room when we arrived at 11. Our server's clothing wasn't clean, and he looked like he just rolled out of bed. Serving items, such as the creamer, were greasy and dirty; food took forever to arrive, was cold and unappetizing. Will never eat here again!! Enjoyed a meal with longtime friends when they came to DC. We all ordered mussels in white wine sauce, and asked for extra bread to sop up the delicious liquid at the bottom of the bowl. Worth the hassle of driving into the city and finding a place to park. A nice place to eat, only a few blocks from Dupont Circle, and near the Hilton. I have not been to many restaurants that did NOT have the first or second choice of wines. The waiter gave us a wine listed at $75 for $48, because we did not want to pay $75. They did not have the veal chop and thought they did not have the pear tart even though both were on the menu. Overall this restaurant provided acceptable but non-memorable Bistro fare. I ordered the cassoulet which was subpar. Duck was dry and a bit tough, not much lamb. Service was good, not many choices for wine by the glass. Overall ambience was good, I ate early on a Friday evening (Before 7:00pm) so there were not many other diners. Prices were reasonable but the one can do better in the category of Bistro dining in DC. We have been coming here since the restaurant opened. The food is great, wine list sisreasonable and the service is excellent. Arrived at 1855 on a Sunday evening. Wasn’t crowded at all. Server was very attentive. My girlfriend and I opted for the three course dinner. Tried beef carpaccio as an appetizer. Was wonderful. Girlfriend’s bisque didn’t appeal to her much. Said it had a curry flavor to it. The lamb was sold out. We had the stuffed salmon and chicken Florentine with mixed veggies. Both were excellent. Desserts were good. The house pino Grigio was very good as well. The French onion soup tasted like canned soup with a slice of cheese on top of it. The mussels were moderate. The bartender did not know how to serve pastis, a French staple. The pasta tasted like something you would buy at the store and the sauce the same. Service was all together below average. Food was really good. The service was just ok but I think it was our specific waiter and not the staff on a whole. I will return. What a lovely little treat Bistro Bistro was. We went for my boyfriend's birthday and they were wonderfully accommodating. I would definitely recommend for a special occasion. The desserts were excellent. They were thorough from start to finish, treated everyone like they were family. I love Bistro Bistro! I go all the time with my friend and it never disappoints. The service is incredible and the food is always delicious. Last time, our waiter William was exceptional with his service. 10/10 would recommend.